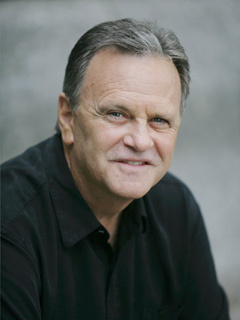 Robert S. Woods originated the role of Bo Buchanan on ONE LIFE TO LIVE in 1979, a role which has earned him several accolades, including the Daytime Emmy for Outstanding Lead Actor in 1983. Woods has earned six Daytime Emmy nominations, multiple Soap Opera Digest Award nominations and four MVP trophies from Soap Opera Update. A Vietnam veteran, Woods attended California State University at Long Beach before embarking on what would be a long and successful acting career. After graduation Woods studied at the Film Actors Workshop, The James Best Theatre Centre, The Directors Lab and The First Acting Company Workshop. Woods starred in theater productions at Disneyland's Drama Workshop, and a dinner theater production of Barefoot in the Park before landing a role on the television series CITY OF ANGELS. Six years after creating the role of Bo, Woods left ONE LIFE TO LIVE in order to tend to his ailing mother in Los Angeles, as well as pursue other acting avenues. During his hiatus, Woods starred in the miniseries, WAR AND REMEMBRANCE, a local production of Stitch and Eubie, and several other television and film projects. Woods returned to ONE LIFE TO LIVE in 1988 and has continued to pursue outside acting opportunities in addition to his work in Daytime television. Spent 15 months in Vietnam as a Green Beret with the Army's Fifth Special Forces Group. Bo Buchanan's Vietnam experience is loosley based on his portrayer's actual war experiences. His most embarrassing moment was his 1975 screentest for Frank Ryan on RYAN'S HOPE. "I couldn't remember the first line, my name or anything!" Worked for Disneyland's Drama Workshop, where he put on plays for employees after the park closed at night. His birth name is Robert Sosebee Woods. Woods lives in a Carpenter Gothic 1880 home in upstate New York. OLTL favorites Hillary B. Smith (Nora) and Robert S. Woods (Bo) talked to the press about the show and the big news about OWN: Oprah Winfrey Network picking up AMC and OLTL for a "summer fling" beginning July 15. Digest has learned that a casting call has been placed for the contract roles of Matthew Buchanan and Destiny, for Prospect Park's online reboot of OLTL. "It's cool!" smiles John McCook (Eric, B&B), who snagged his second Lead Actor nomination since his first one back in 2001. ONE LIFE TO LIVE viewers recently saw their beloved Bo in a bathtub full of tomato juice, thanks to a skunk in the church. The skunk and the tomato juice were real; we asked Robert S. Woods (Bo) about it. In the November 10 issue of Digest ONE LIFE TO LIVE's Hillary B. Smith and Robert S. Woods discuss Bo and Nora's long-awaited reunion with candor, sincerity and humor. Here, lucky readers, we present you with a little extra from this rare interview. Enjoy! During a recent interview for the mag, ONE LIFE TO LIVE's John-Paul Lavoisier (Rex) and Bob Woods (Bo) took a moment out to air their dirty laundry... literally.